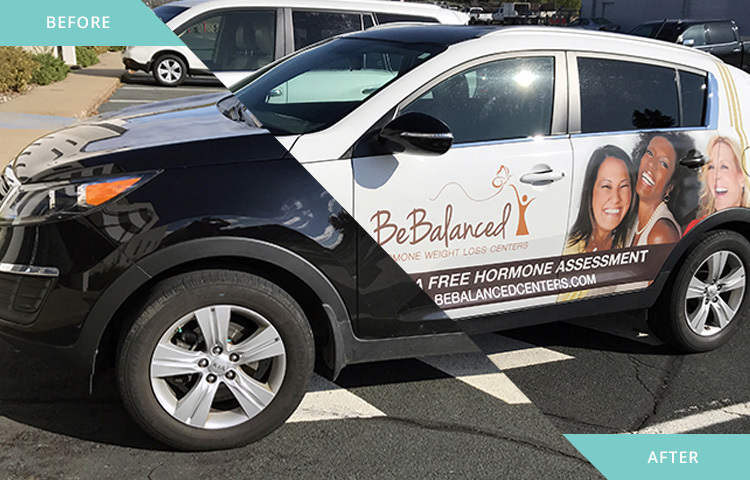 Vehicle Advertising is the most cost-effective way to get your business noticed. 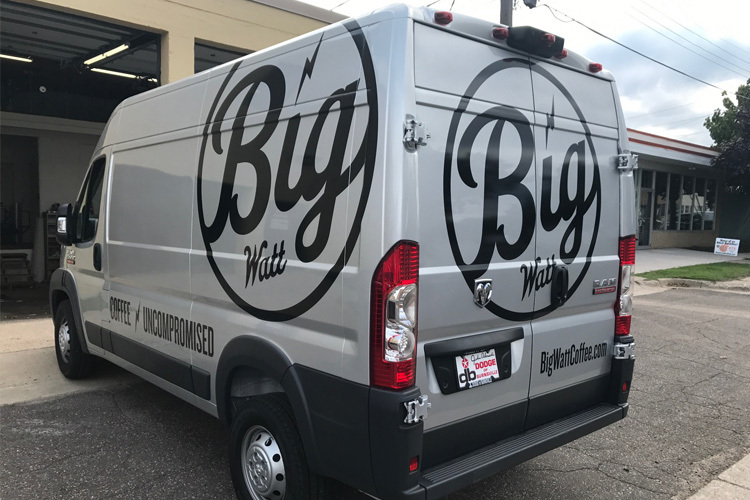 Getting your vehicle wrapped is like hiring a sales person who never sleeps, works 24 hours a day, and doesn’t require a salary! Even simple door wraps and graphics will get you more business and make you money. Solid color vinyl graphics are inexpensive, and are easily removed. A “partial wrap” utilizes the color of your vehicle. Perforated vinyl on the windows makes a full-color impact, and allows you to see through the window from inside. 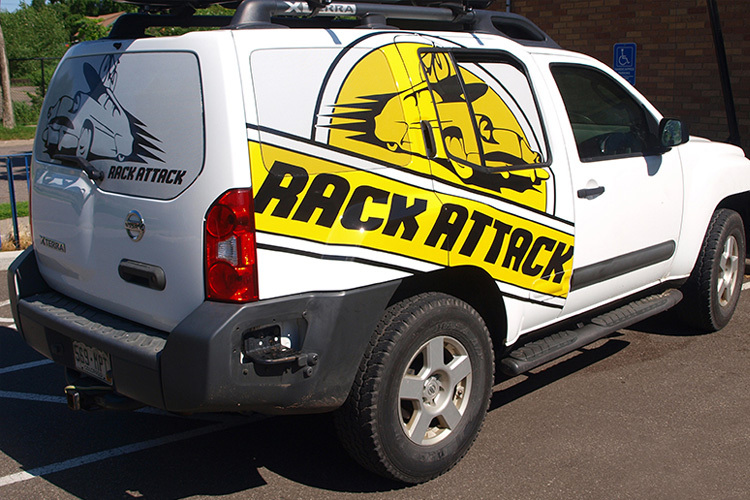 A full-wrap will transform your vehicle into a rolling billboard. The design possibilities are endless. 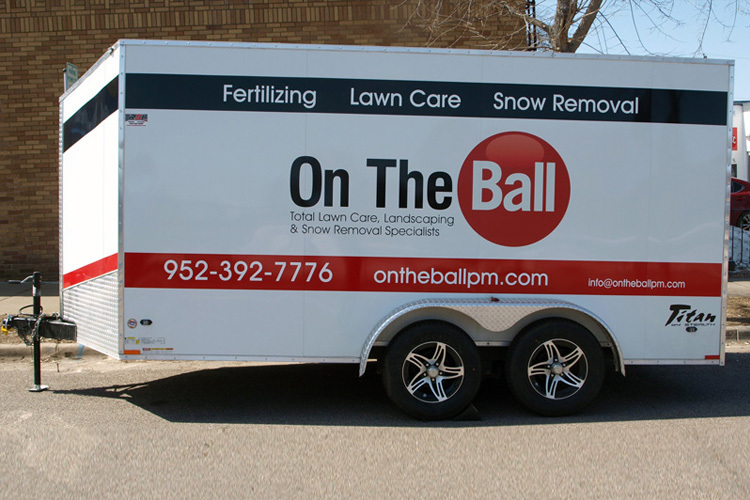 We can help with design, print and installation on truck, van, trailer and car wrap graphics. Don’t forget: we can do trailers—and large trucks too. Contact us, or stop in for an estimate.